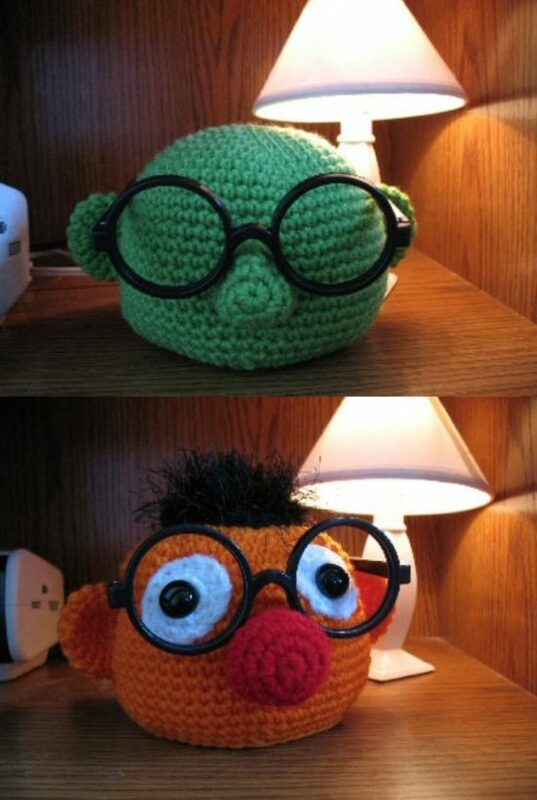 Never lose your glasses again! 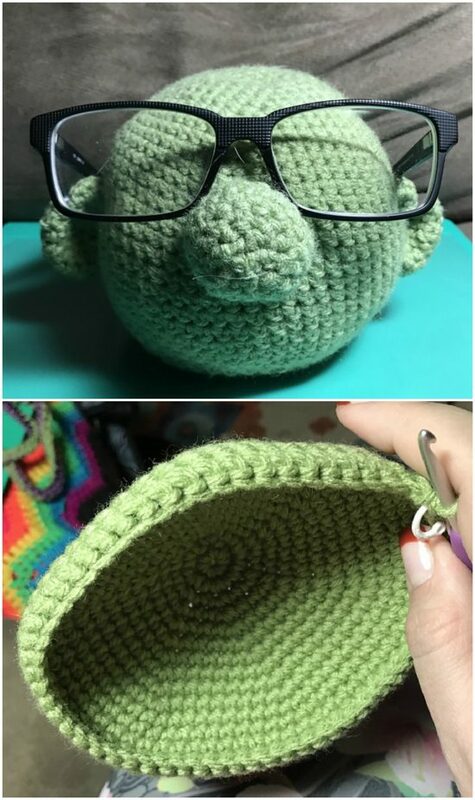 Keep them safe on your Crochet Muppet Glasses Holder on your night stand. You will love these ideas and there’s something for everyone! 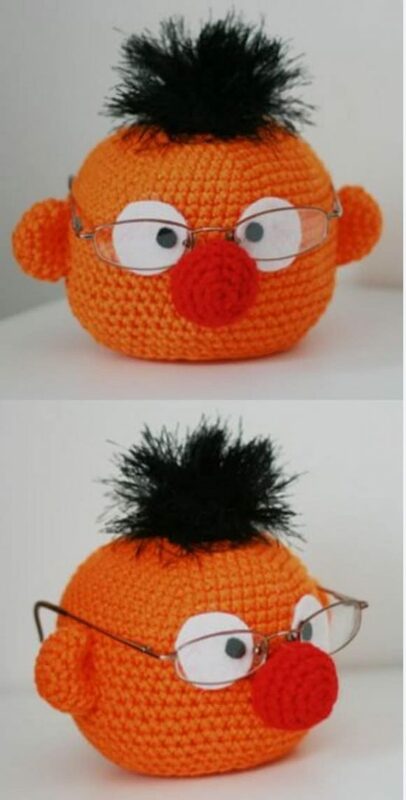 Are you one of the many people always losing their glasses? We feel your pain. We know where they go .. into the sunset with your keys! Now you will always know where they are! 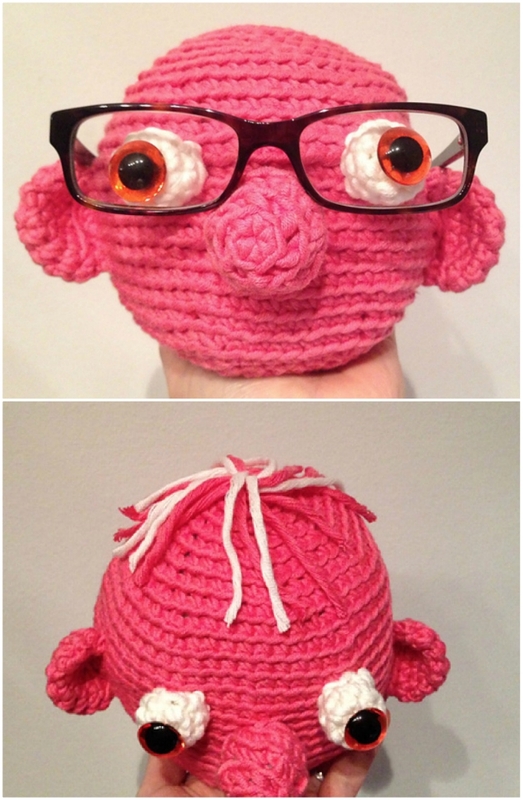 These Crochet Muppet Eyeglass Holders are a novel way to keep your glasses safe. You can select from your favorite characters too. They are guaranteed to bring a smile to your face every time you look in their direction. Scroll our page for all the versions. 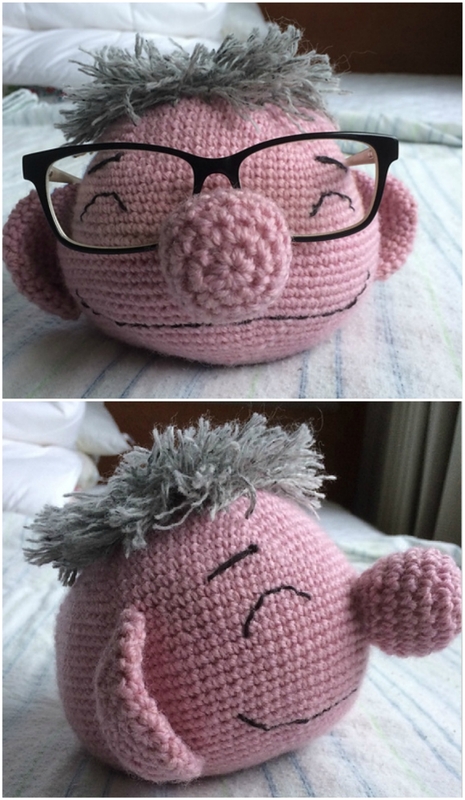 This super cute version of the pattern was made by Bapsie as a Fathers Day gift. She said there were giggles all round. 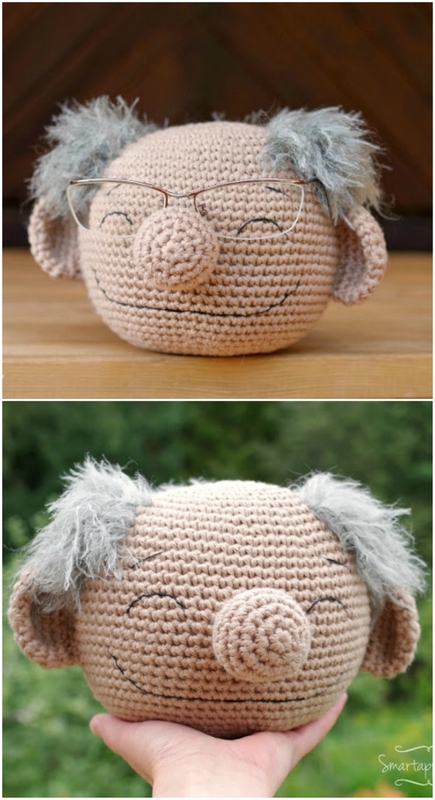 This golden oldie with his fuzzy hair is super cute and another fabulous free pattern from the Creator. 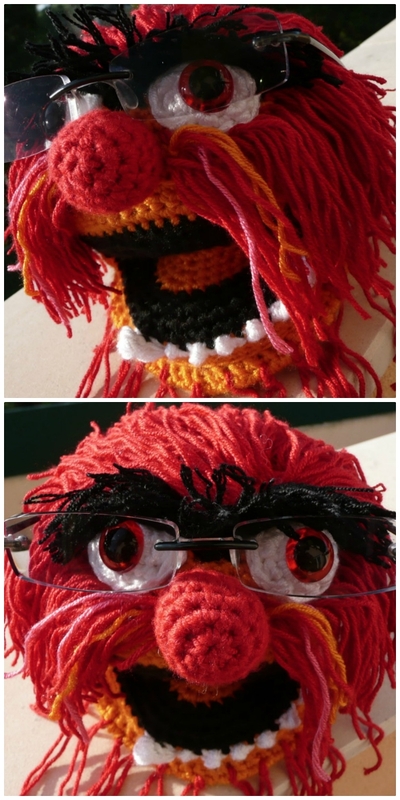 Funky Knitter, a Ravelry member put her own spin on the Crochet Muppets Eye Glass Holder. She created Animal and what a job she did. 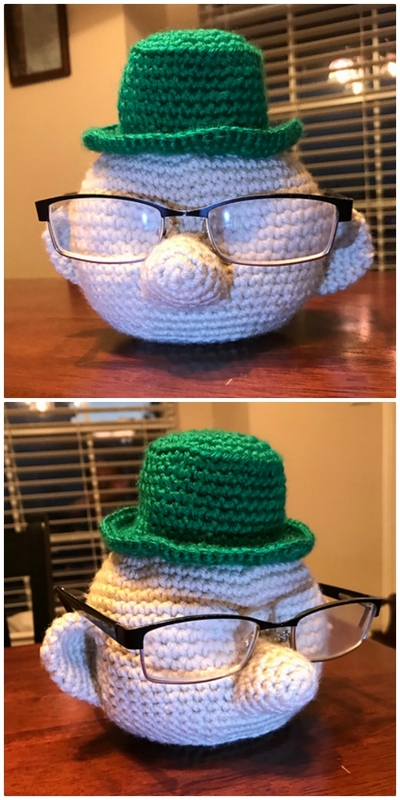 Obviously, she has modified the original pattern. 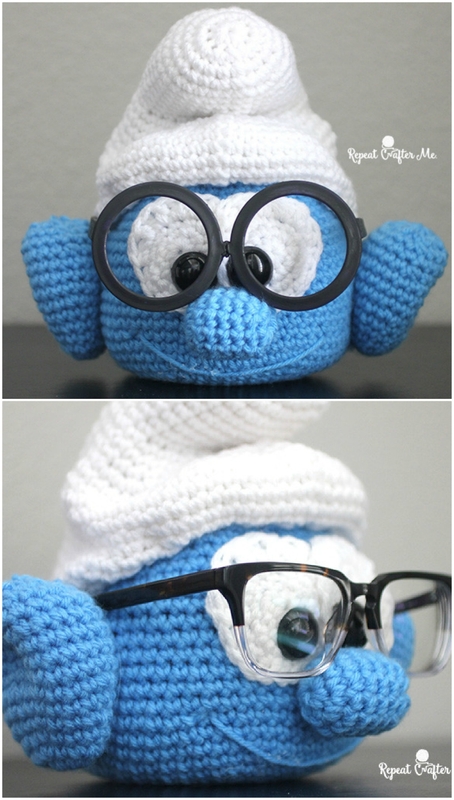 This super cute Smurf will take good care of your glasses when not in use and he’s a fabulous free pattern. We’re sure you have someone to whip him up for.